So long as war is the main business of nations, temporary despotism — despotism during the campaign — is indispensable. A bureaucracy is sure to think that its duty is to augment official power, official business, or official members, rather than to leave free the energies of mankind; it overdoes the quantity of government, as well as impairs its quality. Business is really more agreeable than pleasure; it interests the whole mind, the aggregate nature of man more continuously, and more deeply. But it does not look as if it did. Throughout the greater part of his life George III was a kind of 'consecrated obstruction'. Years of acquiescing in proposals as to which he has not been consulted, of voting for measures which he did not frame, and in the wisdom of which he often did not believe, of arguing for proposals from half of which he dissents—usually de-intellectualize a parliamentary statesman before he comes to half his power. 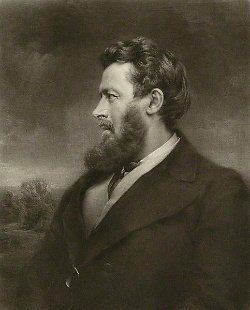 Bio: Walter Bagehot was a British journalist, businessman, and essayist, who wrote extensively about government, economics, and literature.